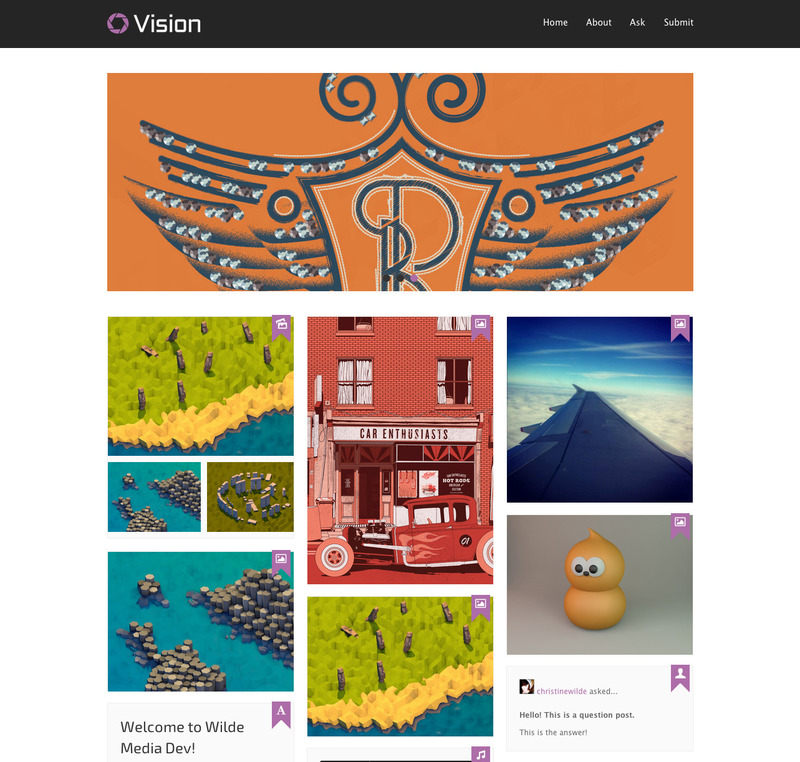 Vision Tumblr Theme is perfect for a freelancer, agency or business portfolio. Vision features a snippet of the posts content on the home page so more can be seen at one time. 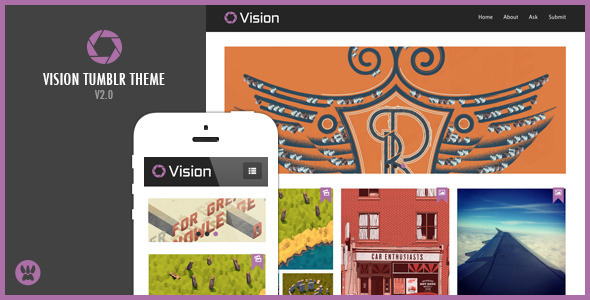 Vision is perfect for any level of designer, developer and blogger. It’s so easy to install it only takes a minute with the help of my instructions file and video walk through. Nivo Image Slider – Turn on and off, add images through the Options Panel. 10 Google Fonts – Simply type in the font you want to use in the Options Panel. Endless Scrolling – Simply tick a box in the appearance panel for endless scrolling posts. 5 Background Textures – Choose your favourite and upload it through the Options Panel. Twitter Integration – Add your username in settings and your latest tweet will appear in the footer. About Me, People I Follow & Post I Like Widgets – All sitting in the footer. Background Image Upload – Upload any image for the background in the Options Panel. ShareThis Buttons – Viewers can instantly send your blog post to Twitter, Google + and Facebook. DisQus Comments – Add your username in the Options Panel. iPhone & iPad Tested – Works seamlessly on the iPhone and iPad. If you feel like giving this item a less than 5 star rating, please get in touch and let me know why so that I can improve the item for you. Please view the changelog for all updates and fixes.